are we counting my Thumbs? Well I have just spent a little time, sanding down the profiles for board 1. You never know I may even start construction some time today ? We all eagerly anticipate a highly detailed, step by step photographic report on the Lugsdale Road development. That is of course in between taking pups out for walks, packing for the mentioned house move and occasionally going to work. 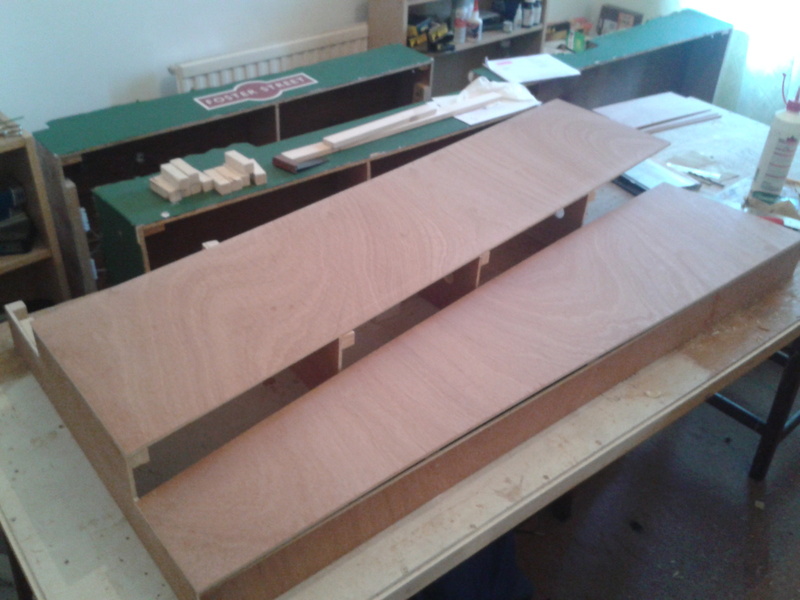 Lugasdale Road, will be made up of two baseboards (not including the fiddle yard). 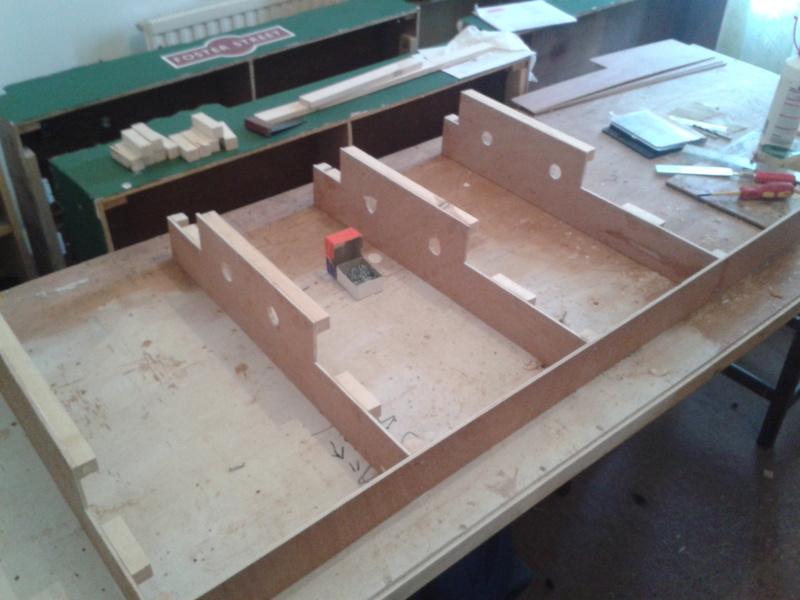 Each board will be 4ft x 2ft (no metric here), and the tack bed will be raised from the surface of the baseboard. 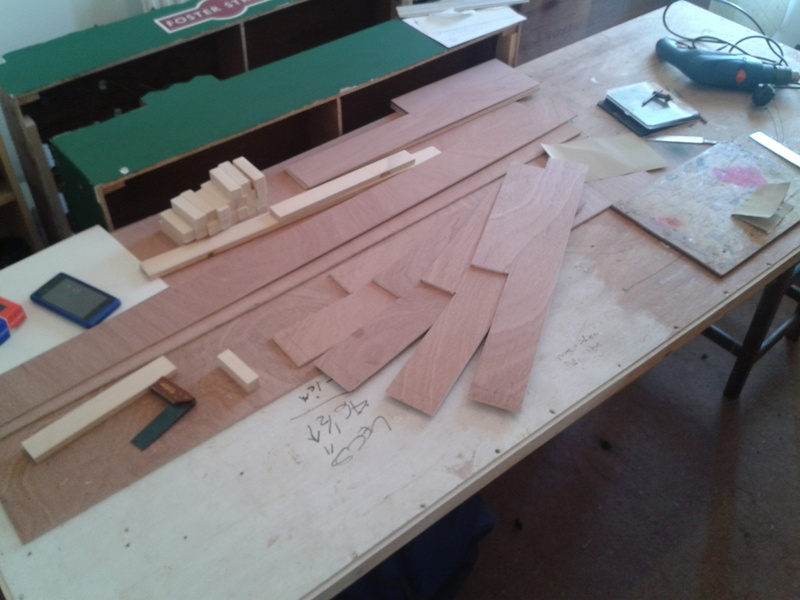 As I quite like using it on Faster Street the baseboards are to be constructed by 6mm ply-wood, in an attempt to create strong and lightweight baseboards. I's sure its nothing new to all of you here, but I thought I would post a few pictures of the progress in the production of the baseboards if only to show you how not to do it. 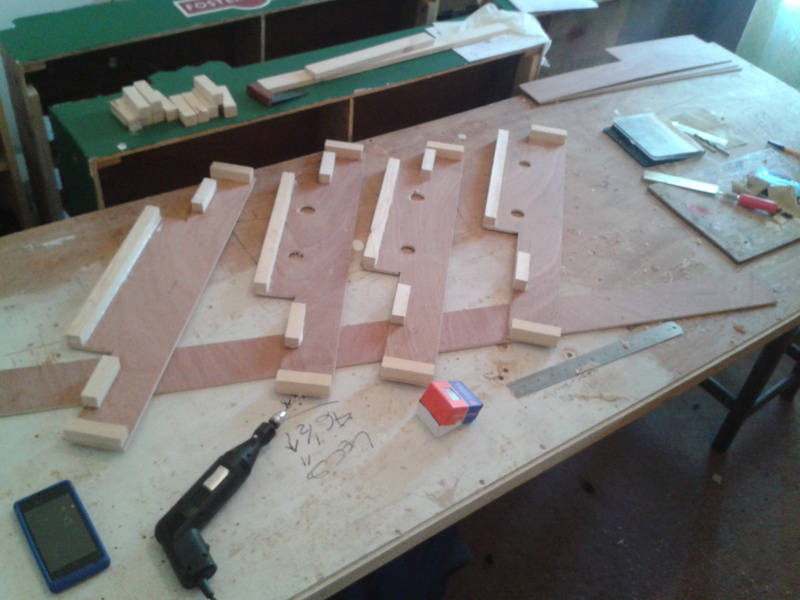 Once I had got bored with sanding the profiles, I decided to add blocks of 1"x1" timber, in the places the cross members will be attached to the side members, or the track bed, flushed with success I then decided to use a 1" spade bit to cut some holes for the wiring. This did not go a smoothly as I had planned, as a little miss-hap led to a couple of not so circular holes and me narrowly avoiding detaching my arm, any way these things happen so it could be worst. Once I was happy with the cross pieces I glued and screwed these 12" apart onto the side member. The last cross member is yet to be added, as this will include the alignment dowels, so I will make the one for board 1 and 2 together as that way they will be identical, and in theory should take care of any board alignment issues, which means I will be free to create a whole load of problems, without any pressure. While the glue was drying, I decided to test fit the track bed and the lower rad surface at the front and back of the baseboard, just so I could get a rough idea of how the layout will look when eventually finished. Look for any Reg Prescott (Kenny Everett) vid on YouTube to find out how not to do DIY. Well today spent a little time on the baseboards, with the result being I still have all my fingers and I have nearly finished board 1. I have even managed to get the prep work done for the alignment dowels to be fitted, all this progress cannot be a good thing, should I be worried? I'd be more positive PP and state most confidently that you have yet to start work on the fiddle yard. 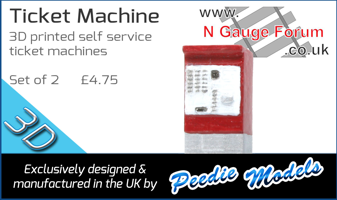 Page created in 0.292 seconds with 41 queries.